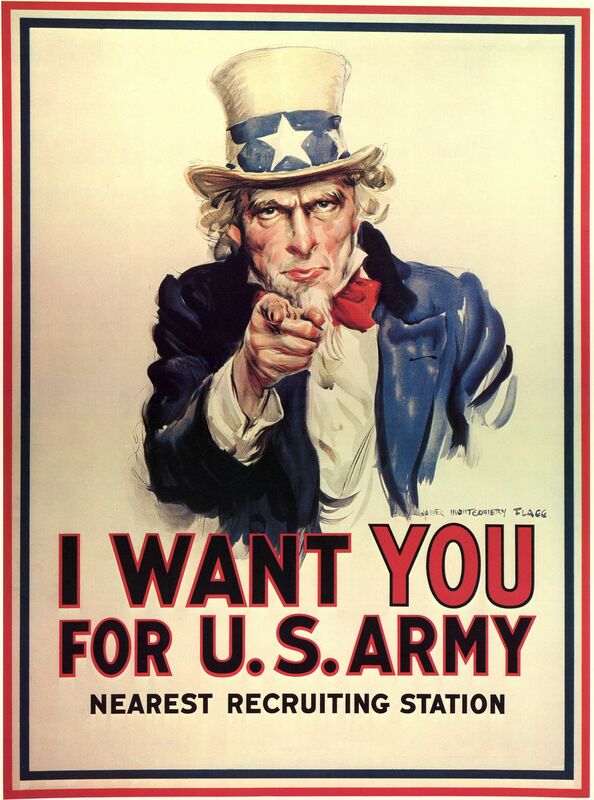 World War I played an important role in modernizing the advertising industry. Governmental use of advertising and propaganda to drum up sufficient support for the war effort enshrined the medium’s power. At the same time, shrinking discretionary spending encouraged more traditional advertisers to push the medium in new directions. In fact, with the exception of aviation, you’d be hard pressed to find an industry more changed by the war than advertising. It is interesting, if not surprising, to note how crude and unoriginal the government produced propaganda was. For example, countries on both sides of the conflict used the now-familiar image of a man looking, and sometimes pointing, right at viewers. 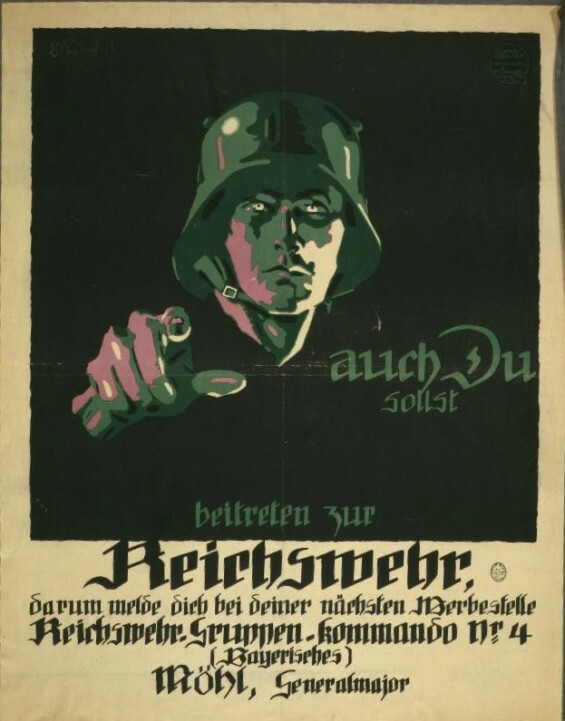 Take Lord Kitchener, the original English version, Uncle Sam, and this German poster (which reads “you too should enlist in the army of the reich”). It’s always interesting to examine propaganda, which seems to rely on people’s nobility or on a sense of obligation. This is particularly true of World War 1 propaganda, possibly because the war seems to be so senseless. 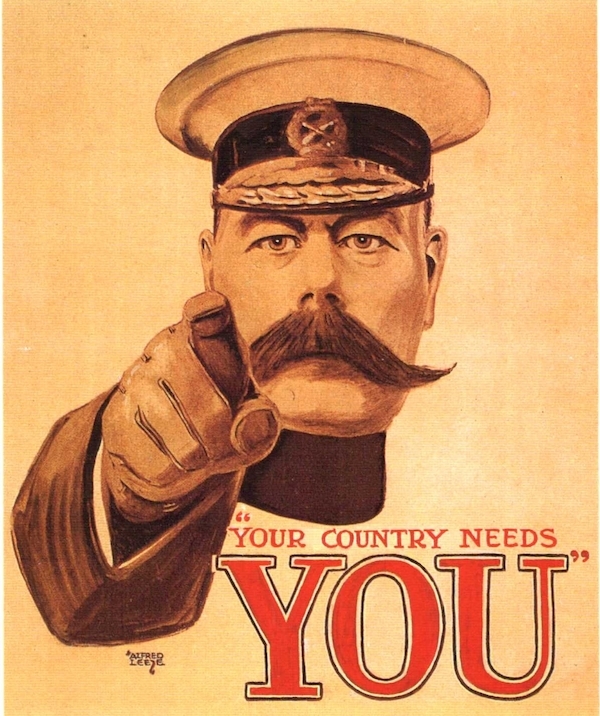 In fact, if the war had happened a little earlier it might have been much harder for the volunteer armies to drum up support – the success of World War 1 propaganda relied on the use of emotional appeal which had only come into prominence a short while beforehand. There is another somewhat famous advertisement (which led to the title of this book) about a man who lost his gramophone. Of course, according to the gramophone manufacturer that was a travesty that needed to be remedied, but in reality it shows the budding consumerist culture more than anything else. 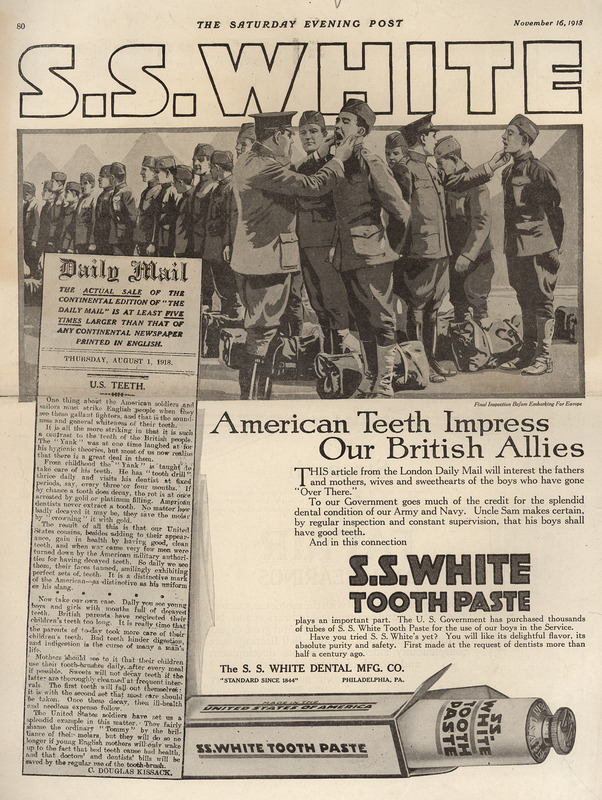 Another amusing ad comes from S.S. White Tooth Paste, which at the time was a market leader in the tooth paste industry. Interestingly is seems to play on a stereotype that is still prevalent today ( that the British have awful teeth) while also demonstrating the longevity of the appeal to the herd instinct. Taken from Duke University’s Digital Collections. Perhaps as the result of it’s effectiveness throughout the war, the advertising industry experienced tremendous growth just after it and until the Great Depression. In fact, many prominent brands got their start in between the wars. For instance, Young & Rubicam, Leo Burnett, JWT, and BBDO, all started in during that period. BBDO was actually created directly as the result of the First World War as it’s founders met during their work for the United War Work campaign. Unfortunately, very little is written about this aspect of World War 1, especially in comparison to World War 2, but it is quite an interesting period nonetheless. What Can Political Advertising Tell Us About Human Nature?